Sports motivation is the core for athletic excellence. You can be one of the elite athletes, with all the physical traits, but without the motivational drive to excel there will never be a winner. An athlete’s motivation is internal, from the enjoyment of playing a particular sport as a child to being the best of the best as a champion. Learning the sports motivation game is critical for success. When we think about sports it is always about competing and winning. The fact of the matter is that it’s really about the motivation that an athlete has to perform at his or her best. When it comes to sports motivation, there are few who really understand how to harness its’ power. Having the capacity to channel athletic excellence always begins and ends with sports motivation. Self-motivation or self-determination is the basic core level of sports motivation. This motivation comes from within. It guides how we train, recover, and the plan of attack for competition. This initial core level of sports motivation is responsible for all our behaviors. If you lack the desire or will to prepare for competition then your self-motivation ceases. Furthermore, all other types of mental preparedness will have no effect. It is important to view self-motivation as internal motivation. Most internal sports motivation will focus on an athlete’s growth, improvement, and satisfaction. The underlying drive to compete in any sports can be found in an athlete’s internal psyche. External motivation is derived from outside sources and plays a vital role in performance. Some examples of external motivation can come from money, championship rings, endorsement deals, reputation, fame, and other perceived gains. External sports motivation can fuel our own self-motivation and bring it to higher levels. Great motivating coaches have a talent to bring out the very best in their athletes. 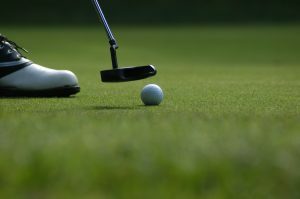 They implement strategies to change behavior patterns with an athlete’s self-motivation. Good coaches can harness the power of external motivation to develop a powerful sports motivation program. 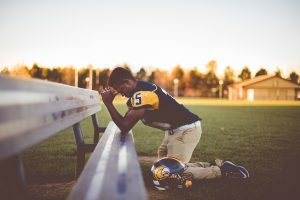 Using techniques such as non-verbal reinforcement can bring about positive changes to an athletes internal sports motivation. Applying verbal support by telling an athlete where their current abilities, strengths, and weaknesses are will give them direction for improvement. As a professional coach, it is imperative to give your players, team, and staff feedback. Keep everyone engaged on improving. Even highly successful athletes and teams need to stay motivated to excel. At certain points, an athlete may experience burnout. Acknowledging positive contributions will help athlete’s maintain their focus and encourage positive behaviors. In any sports motivation program there must be goals. It is important to make adjustments with goals when needed to accommodate the ever changing environment of the competitive season. Therefore it is possible that higher goals need to be set when previous goals have been reached or when original goals expectations was unreasonable. Understanding sports motivation is a winning formula for success. It is not just for sports but also in life, business, and most things where competition exists. From an individual perspective, you may not be an athlete but you may compete against others or yourself. For example, maybe you are looking for a promotion in your job. Another example, as a business, you are competing against other businesses. Even as a student, you might be competing to get into your first choice for college. Most goals are usually based on competing and winning in some if not all respects. Developing both self-motivating and external motivating skills derived from sports motivation will make a major impact on success or failure. Also known as winning or losing. Sports motivation is about dominating as many factors as possible to reach that victory. Using positive mindset, visualizing successful outcomes, and raising the trophy are some of the tools. However, success always starts and ends with you.